Fairmont Hotels & Resorts is a luxury hotel brand with a portfolio of over 75 properties around the globe. From the exotic savannahs of Africa and the sandy beaches of Hawaii, to the snow-capped Canadian Rockies, Fairmont Hotels & Resorts offers truly unique travel experiences in some of the world’s most extraordinary destinations. 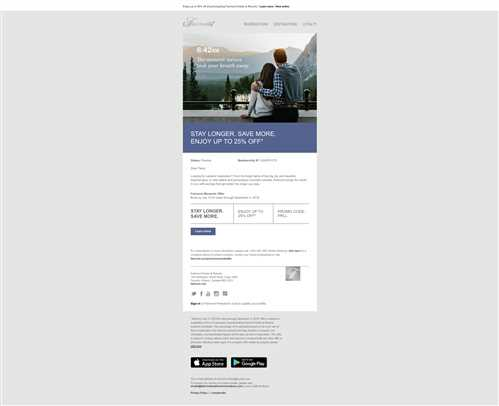 This summer, we launched our Fairmont Moments seasonal marketing campaign, designed to engage the travel community, increase loyalty and boost sales. As a part of this campaign, we wanted to integrate our new Members’ Rate (a special discount—up to 10% off—that’s combinable with our other offers in market), in addition to synergizing marketing efforts with our sister brands, Sofitel and Pullman. With these directives and the knowledge that demand for these unique travel experiences was on the rise, we launched our Fairmont Moments campaign. Our overarching goal was to drive room night production in North and Central America between April 16 and August 31, 2018. We set the following measurable objectives: •	50,000 Bookings •	115,000 Room Nights •	$15 Return on Ad Sales (ROAS) •	300 Million Impressions In addition, we also wanted to raise brand awareness within our core audience, through targeted social media advertising, email and display ads. 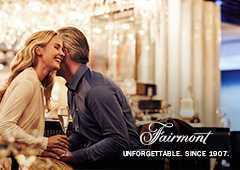 Fairmont is a luxury brand which cultivates an affluent demographic, driven by unique and extraordinary experiences. Our marketing tactics targeted Fairmont’s entire Global Database, plus potential guests whom we’re not able to directly communicate with, but could be reached through marketing channels such as display, search and dynamic ads for travel on Facebook and Instagram. Our media plan indicated that the campaign could generate an estimated 300 million impressions. In addition, our database allowed us to reach a large contingent of guests, whom we would contact through several phases of the campaign. We also planned to increase our ad spend on retargeting and prospecting with companies including Sojern, TripAdvisor and Oath. And for the first time, we partnered with the New York Times to deploy communications directly to their database. This allowed us to connect with an entirely new audience, with similar characteristics to existing Fairmont fans. Fairmont Moments was an integrated campaign with an array of strategic marketing tactics, including: emails, banners, video ads, paid search and dynamic ads for travel on Facebook and Instagram. We segmented the campaign into three phases: The first phase was a pre-sale, exclusively available to members of our loyalty program. For the second phase, we employed a compelling “Stay Longer. Save More.” escalating discount, designed to reward guests for extending their stays. And for the third phase, we switched to our “Time Well Spent” flat discount of up to 25% off. We paired these with our new Members’ Rate, offering an additional discount of up to 10% off for bookings made through our brand channels by loyalty members. This was a strategic decision to win a greater share of bookings from third party sites. Customer insights and marketing analytics were used to determine the forecasting, travel trends, target profiles, media strategy and the timing of deployments.